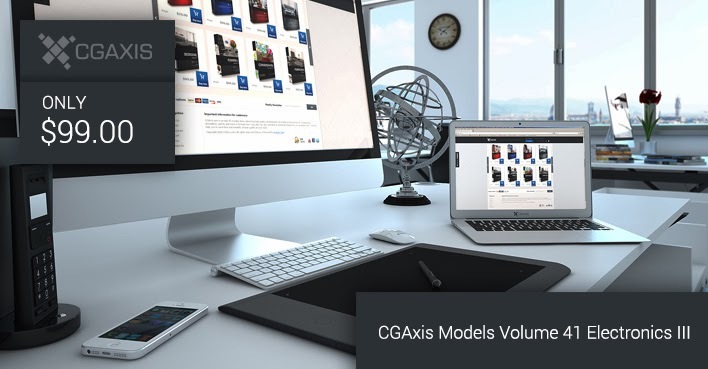 CGAxis has unveiled its new collection - Models Volume 41 - Electronics III. This is another part of the collection of electronics, contains 20 highly detailed 3D models of: tv remote control, alarm clock, speaker set, home cinema set, smartphone, notebook, computer and many more. Models from this collection are great to your interior visualizations. Models are mapped and have materials and textures. Compatible with 3ds max 2010 or higher and many others. All CGAxis's collections are now on sale till Jan 20th. 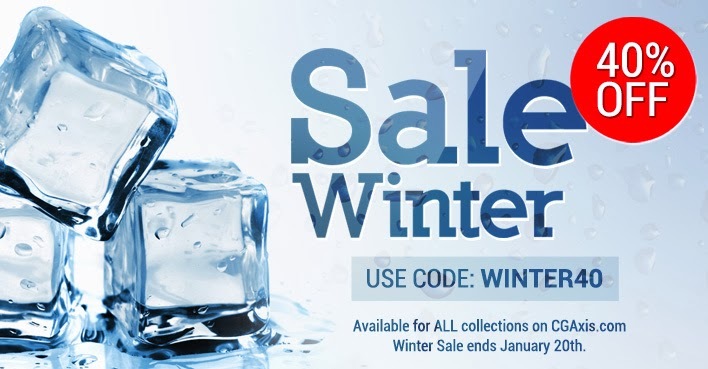 Simple use the code: WINTER40 while purchasing.